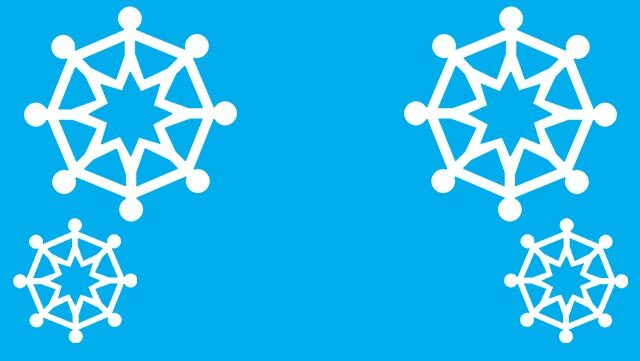 The Internet Governance Forum (IGF) brings together representatives from civil society, academia, private sector, government and the technical community as equals, to discuss about public policy issues relating to the development of the Internet. It is a unique space that informs and inspires. The IGF facilitates a common understanding of how to maximize Internet opportunities and address risks and challenges that arise. The IGF 2017 starts officially tomorrow in Geneva, Switzerland, and today a series of pre-events set the tone for the discussions that will take place from 18 to 21 December 2017 an the UNOG building. At 9:00 am in Room XXVI – E the Seed Alliance Open Forum will be sharing with the community what the Seed Alliance is, and the work of FIRE, FRIDA and ISIF Asia to support innovation on Internet development. In particular, the Seed Alliance will be focusing on its gender programming, ahead of the 2018 plans to have a specific funding category across the 3 regions to fund gender and technology projects. At 11:50 am in Room XXII – E a round table will discuss how devices, content & innovative business models shape our digital future. The workshop speakers will discuss how the business models behind content and services as well as infrastructure development (devices and networks) has a direct impact on how we can achieve the goal to connect the next billion to enhance opportunities to all. Then at 1:30 pm in room Room XXVI – E the Seed Alliance Awards ceremony will take place and 6 amazing projects will be presented. Please join us to acknowledge the great contributions each and everyone of them is doing for our digital future. The ISIF Asia award winner from Indonesia, PetaBencana.ID will be among these amazing group. The Seed Alliance will also have a booth at the IGF Village, so please come to meet the award winners and learn more about their work, and the work of the regional partners to support innovation across the global south. Then, on Tuesday 19 at 10:10 am in Room IX – A, Duncan Macintosh (CEO of the APNIC Foundation) will be sharing about the Foundation support for cybersecurity projects, included those funded during the ISIF Asia 2016 and 2017 grants at the session Cybersecurity: Balancing security, openness, and privacy. 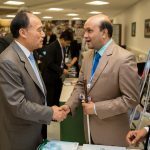 On Wednesday 20, the Global Information Society Watch 2017 on National and Regional Internet Governance Forums will be launched at 1:30 pm in Room XXV – E. ISIF Asia supported the development of this resource, as an important tool to capture the diversity and richness of IG discussions around the world. As co-chair of the APrIGF, I also would like to invite you to join the presentation of the APrIGF Synthesis Document, on Thursday 21 at 9:00 am at Room XXII – E. The document, developed through a community process online produce a collaborative outputs of the discussions held at the last APrIGF in Bangkok, a remarkable effort lead by the APrIGF secretariat. Emir Hartato from PetaBencana.ID (winner 2017) will be speaking at the Data for the Humanitarian Field workshop on Tuesday. Maureen Hilyard is organizing and speaking at several sessions, check the link to see the full list. Sze Ming Tan from Sinar Project in Malaysia is organizing the Youth Engagement in Internet Governance Ecosystem: Current Scenario, Controversies and Future Action. As the first national CERT in the Pacific Islands, certTonga was established in July 2016, in order to provide “A safe and secure digital environment for the Kingdom of Tonga and its citizens”. The team aimed at conducting incident handling, performing vulnerability handling, and providing security consultation and advice at Tonga and greater Pacific. 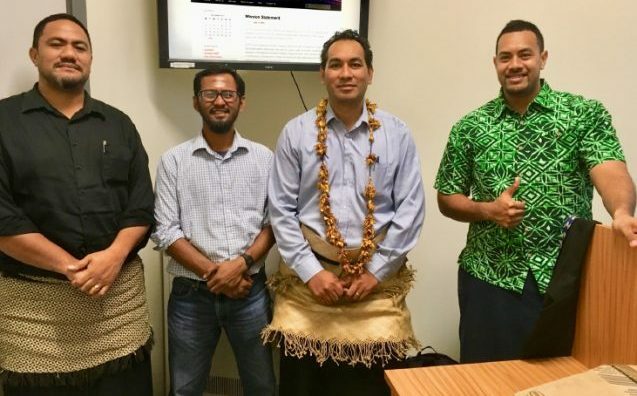 The Cybersecurity grant, funded by Internet Society, assisted in the setting up of Tonga CERT’s capacity and capability to undertake its mandated function. APNIC and it’s Foundation also helped find opportunities for certTonga Staff to partake in capacity building activities and chances to collaborate and form partnerships with relevant organizations. During the project implementation, there has been many awareness and educational initiatives in relation to the functions of the CERT and through the better understanding of its security role in the government and society, participation and involvement is being increased from time to time. certTonga is now playing a vital role in the Tonga Police investigation process which has placed the certTonga in a position to be actively planned to grow in all areas to be able to cope with the demand. There is a particular focus on building capacity of the team as it is now essential to the continuous operation of the CERT as well as obtaining a reliable information obtained from a verified sources and undisturbed evidences. The Final Technical Report “Developing certTonga” is available for download. Innovative improvements to flood mapping, health services, IoT security, traffic management and satellite connectivity were the ISIF Asia 2017 winners. The funding recipients receive AUD 160,000 to support research and development of Internet technologies for the benefit of the Asia Pacific. An app to crowdsource flood maps for disaster management. A platform to manage health services delivery. An IoT traffic classification system. A solution to improve satellite connectivity. The four grants, across three categories, and one award are fully funded by APNIC, and 2018 will mark the first block of grants that will be fully administered by the APNIC Foundation. “This year’s winners are an outstanding group that demonstrate the very high standards of I4D and R&D in the Asia Pacific region,” APNIC Foundation CEO Duncan Macintosh said. Powered by CogniCity Open Source Software, PetaBencana.id is a free web-based platform that produces megacity-scale visualizations of disasters using both crowd-sourced reporting and government agency validations in real-time. The platform harnesses social media and instant messaging during emergency events to gather confirmed situational updates from street level, in a manner that removes the need for expensive and time-consuming data processing. These verified user reports are displayed alongside relevant emergency data collected by local and government agencies. By integrating localized knowledge from a variety of sources into a single, robust platform, PetaBencana.id provides a comprehensive overview of disaster events, enabling residents, humanitarian agencies, and government agencies to make more informed decisions during emergencies. Since its debut in 2013, the PetaBencana.id platform has been used by millions of resident users to make time-critical decisions about safety and navigation during emergency flood events; it has also been adopted by the National Disaster Management Authority (BNPB) to monitor flood events, improve response times, and share time-critical emergency information with residents. Learn more about Petabencana.ID at https://info.petabencana.id. PetaBencana.ID will join the awards ceremony that will take place at the 12th Internet Governance Forum, as part of the Seed Alliance activities. The ceremony is scheduled for Monday, 18 December 2017 from 13:30 to 15: 00 (UTC +1), Room XXVI – E United Nations Office at Geneva (UNOG). Those following the IGF can include the event on their IGF calendar at http://sched.co/CSD9. Community health centres play an important role in health development in Bandung, but in the 70 centres that average 200 daily active visitors, waiting rooms are often chaotic, disorganized and inefficient. This is not just a frustration to patients, it also can encourage the spread of illness. Nuesto Technology developed a simplified queuing system (Qiwii) that allows people to: register from different channels (on the spot registration by kiosk, SMS, app, and website); gives patients an estimated queuing time; and provides real-time analytics and data to help health workers analyse and plan health development programs. Since implementing a pilot phase, average queuing time decreased from 3 to 4 hours to 1 hour on average, and patient satisfaction rose from 3 (out of 5 stars). Learn more about Nuesto Technology’s work at http://nuesto.id. This project focuses on accurate traffic classification in the Internet of Things (IoT). As IoT comprises large numbers of simple devices running single applications, often with little to no security features making them easily compromised and used as tools in cyberattacks, it is important to be able to classify new traffic types coming from IoT devices accurately and promptly, so that anomalous traffic can be identified and dealt with quickly. The project studies how unsupervised machine learning can be applied to network anomaly detection in the dynamic IoT environment where previously unencountered traffic types and patterns are regularly emerging and need to be identified and classified. This project involves the study and selection of appropriate machine learning and identification of those flow features which have the highest impact on traffic classification accuracy. The success of this project will contribute to making safer cyber-physical systems that are an integral component of the IoT. The research will be conducted in collaboration with National Chiao Tung University in Taiwan. Learn more about the School of Engineering and Computer Science work at Victoria University of Wellington at https://www.victoria.ac.nz/ecs. Satellite Internet connections to ISPs on Pacific Islands often suffer from TCP queue oscillation. The problem occurs when multiple off-island TCP senders simultaneously try to adjust their congestion windows to make best use of the available link capacity: If their previous transmissions arrived at the island end, the senders receive ACK packets and increase their congestion windows. If no ACKs return, the senders reduce the window sizes exponentially. However, this ACK-based feedback is always out of date due to the large latency of satellite links, while the queue at the entry point to such narrowband links can overflow very quickly. Our experiments in the islands have shown that coding small numbers of flows across such links can result in higher goodput as the coding conceals some of the queue overflow packet loss from the receiver. Building on our previous ISIF Asia funding, we have confirmed the queue oscillation problem and highlighted that coding is time-sensitive. This project aims to extend the existing coding software by a configurable delay that lets us send the redundancy at a time when it has a chance to traverse the link. It also aims to add further features to the software that will result in better goodput. We will also attempt an entirely different approach to coding the TCP traffic, which will be based on byte stream blocks rather than packets. Learn more about the work of the Systems Development and Evaluation Group of the Computer Science Department at the University of Auckland at https://www.cs.auckland.ac.nz/en.html. This is the first year ISIF Asia has had separate selection committees for each category and ISIF Asia is grateful to each committee member for volunteering their time and sharing their expertise. Their technical knowledge is key for an effective selection process, to identify innovative ideas that have a solid technical understanding about how the Internet works and to be able to forecast how the innovative approaches they have selected can contribute to the future of the Internet. The Call for Proposals for 2018 will open in February. 2018 also marks ISIF Asia’s 10-year anniversary. “The APNIC Foundation is very committed to continuing its support for ISIF Asia and is very excited to celebrate the program’s 10 th anniversary in 2018,” adds Duncan. To learn more about the ISIF Asia program and be the first to know when the 2018 call for proposals opens, sign up to receive ISIF Asia announcements from the ISIF Asia website. Saifuddin Rafi, one of the four million visually impaired people in Bangladesh, is studying in class XI at Patiya Government College in Chittagong. His study started in a specialized school (Government Muradpur School for the Blind) in Chittagong. But, after completing primary level, he got admitted into ‘Union Krishi School and College’ in Patiya nearby his home town. During his secondary education level, in this mainstream school, he did not get textbooks in Braille or accessible audio format. He had to traverse jumpy situations due to absence of accessible study materials. These difficulties required support from his sister, also a student with her own burden, who assisted him by recording all the books and class notes. The sufferings of his parents were also countless. A child with visual impairment needs extra privileges for continuing education; but the access to study materials required and their affordability is perplexing. Therefore, parents wishing their children to continue their studies face physical, mental and financial stresses. For Rafi, difficulties to get accessible study materials needed for visually impaired students was a major challenge, and it troubled him and his family till class VIII. While studying in class IX, he received textbooks in audio format. Later he came to know that these were called DAISY-standard digital talking books. 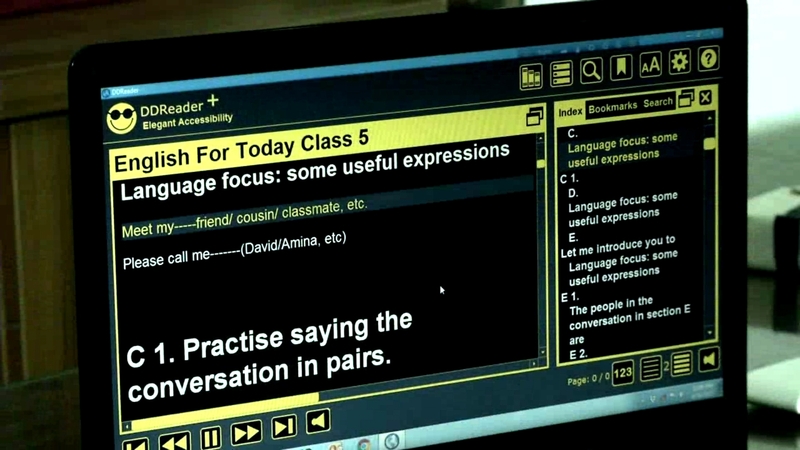 The digital talking books are accessible materials which provide the text in an audio version for all including students with print and learning disabilities. Digital talking books are for everyone who needs accessible information; readers can play the audio and simultaneously display and highlight the corresponding text. It eases the education for the number of visually impaired students in Bangladesh like Rafi. A team of persons with disabilities developed DAISY standard digital multimedia books, e-books and digital braille books for the primary and secondary levels using open source technology which are freely available for the end user. 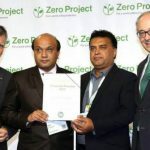 The project received technical support from DAISY Consortium, Accessible Books Consortium and WIPO, while receiving implementation support from Young Power in Social (YPSA) and overall support from the Service Innovation Fund of the Access to Information (a2i) programme under the Prime Minister’s Office in Bangladesh. The project has converted all primary and secondary education textbooks (grades I through X) into cost effective DAISY digital multimedia format; made it easier to produce braille, text, audio book or e-book as suitable. These accessible and affordable reading materials brought a momentous shift in Rafi’s learning curve. 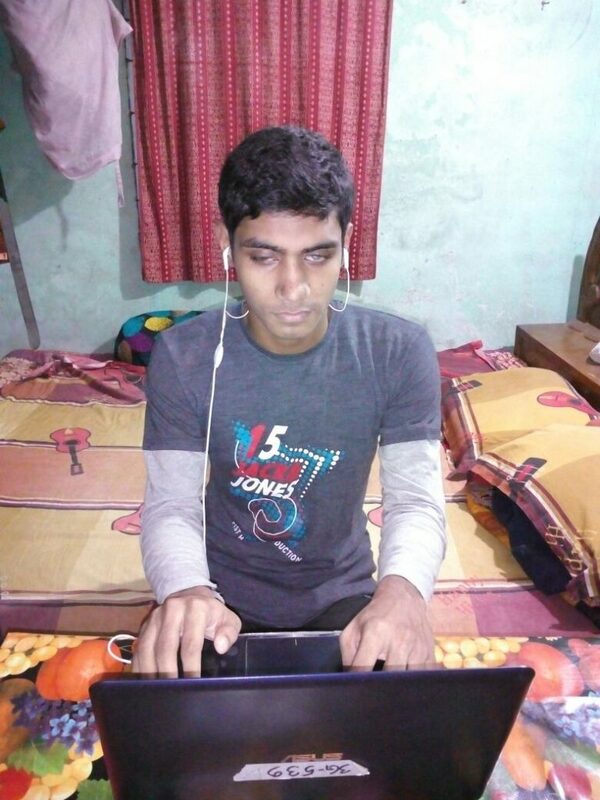 Through receiving Grade Point Average (GPA) 5, the highest grade obtainable for secondary and higher secondary education system in Bangladesh, in his Secondary School Certificate (SSC) examination, Rafi has created an example for other visually impaired students who are struggling for their study fighting against their disabilities. This project has won multiple awards for developing these multimedia talking books, for the expansion of the accessibility of digital publications with innovative models and practices. 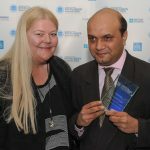 The most remarkable awards include the World Summit on the Information Society (WSIS) Prize, 2017; the Zero Projects Award on Inclusive Education (2016); the Accessible Books Consortium Award for Accessible Publishing Initiative at the International Excellence Award 2015 held in London Book Fair; etc. Surely, these appreciations are significant as both stimulus and outcome of the project. Yet, the main purpose of the project was to enable the students and people with various disabilities. So, the outcome should be measured by the aid, reduction of hassle and indicators of success of the beneficiaries. More than 100,000 students with visual disability, print disability and learning disability can now read and listen to their textbooks that significantly improve their learning now. The Access to Information (a2i) programme is continuously working on accessible education for the visually impaired. Low-cost digital braille display and low-cost DAISY multimedia book players are being developed locally to read these DAISY digital talking books. Bangladesh wants to make people with disabilities resilient rather than ‘assumed liability’ of the society. Ensuring inclusion of all including people with disabilities, especially in education, will aid human-centric and sustainable development of Bangladesh. The education and life as a whole for Rafi and his family, representative of thousands of beneficiary households, has become much easier these days. Rafi can use either smartphone or computer to access his reading materials.